Corruption has come to define Brazilian politics in recent years, affecting all sides of the political spectrum. BristoLatino’s film editor Eva Hughes offers an insight into the profound effect of the constant corruption scandals on the 2018 Brazilian general election. It was the corruption scandal that rocked Brazil. Lava Jato (Operation Car Wash) started out as a Federal Police investigation into money laundering in March 2014 and soon spiralled out of control, exposing an intricate network of corruption, incriminating some of the country’s biggest corporations, much of the political elite and even the former presidents of Colombia and Peru and the current president of Venezuela. The investigation discovered that Petrobras, the state-owned oil company – and the most valuable enterprise in the whole of Latin America – had been awarding special contracts to construction firms (most notably Odebrecht) then overpaying on these contracts, diverting the money into funds which were in turn used to pay politicians with links to Petrobras. However, this is a very simplified version of events. The complexity of the web of corruption that intertwines Brazilian politics, multinational corporations, $5 billion in illegal payments, taxpayers’ money and black market currency dealers is difficult to fathom. As are the huge repercussions that the scandal has had, and continues to have, throughout Brazil and the whole of Latin America. But just how profound an impact will the scandal have on Brazil’s 2018 general election? Firstly, there’s the role of former president Luiz Inácio Lula da Silva (popularly known as Lula) in the scandal. Prior to the 2002 general elections, the Workers’ Party candidate had pledged he would fight political corruption. However, once president, he offered executive posts in Petrobras to his allies in order to strengthen his control in Congress. Lula was subsequently arrested in April 2018 and sentenced to 12 years in prison. And yet on the 4th of August, the Workers’ Party of Brazil (PT) nominated him as their presidential candidate, with his official registration on the 15th of August. Despite leading in the polls, Lula remained behind bars and was therefore forced to withdraw his candidacy. The man who replaced him, the former mayor of São Paulo, Fernando Haddad, has had little time to recover lost ground – a recent poll actually revealed that around one third of the population have absolutely no idea who he even is. Crowds greet former president Lula before he hands himself over to police on corruption charges. Following the revelations of Lava Jato, corruption was always to be at the heart of this year’s presidential race. 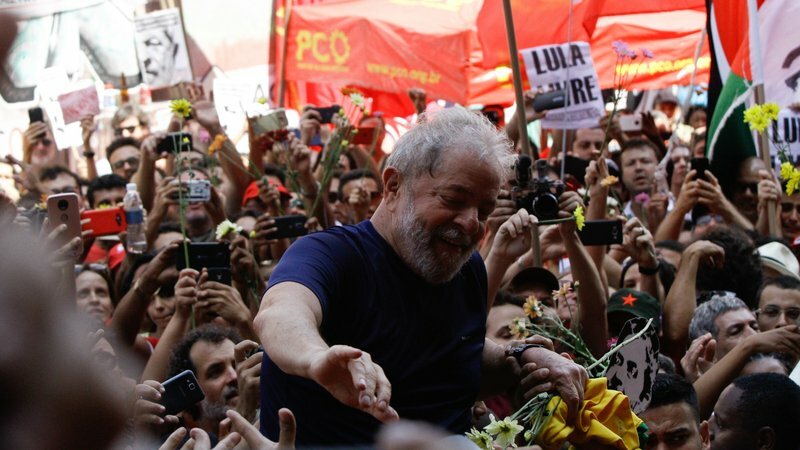 Although Lula’s popularity prevails – he is hailed by many working and middle-class Brazilians as the man who helped bring 36 million people out of poverty – the Workers’ Party’s reputation has been badly damaged. Haddad still stands a fighting chance thanks, in part, to the popularity of his political godfather, however he faces an uphill battle to overtake Jair Bolsonaro in the presidential race. Rather than distance himself from his imprisoned predecessor and the ongoing scandal, Haddad is registered as Lula’s lawyer and is very publicly adamant about his innocence. He too faces charges for illegal donations made during his mayoral campaign in 2012, a topic that left him clearly flustered during a recent interview with TV Globo. 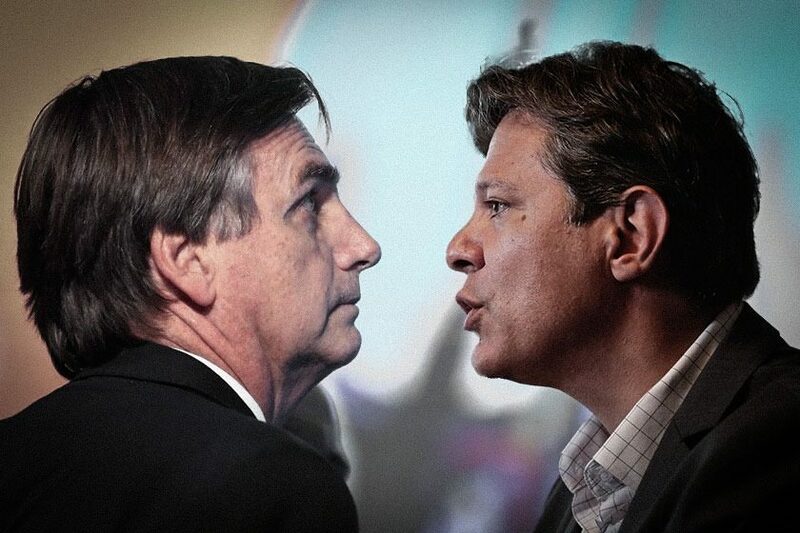 Jair Bolsonaro (left) and Fernando Haddad (right) will go head-to-head on Sunday 28 October in the second-round of Brazil’s presidential election. It is not just the Workers’ Party that is suffering as a result of the scandal. The Brazilian Democratic Movement Party is also under fire, especially given that current president Michel Temer has been accused of accepting bribes and involvement in the corruption network. President Temer, however, is currently protected from being prosecuted by the immunity of office. The dark shadow that Lava Jato has cast over the major political parties in Brazil has left many voters looking for an alternative option, paving the way for the emergence of far-right candidate Jair Bolsonaro. Labelled by some as the “Trump of the tropics”, the congressman has frequently made racist, sexist and homophobic comments that rival those of the US president. Before Lava Jato, Bolsonaro was a fairly unknown evangelical congressman for the state of Rio de Janeiro, yet in light of the corruption scandal and the country’s horrifically high crime rates – including a reported 63,000 homicides last year – he has presented himself as the anti-establishment candidate, a far cry from the dirty politics of Brasília. Bolsonaro’s campaign centres around projecting himself as someone willing to use law and order to bring stability to a broken nation. While Brazil and the rest of the world nervously await the result of the election, this Sunday the 28th of October, one thing remains clear: Lava Jato has changed the face of Brazilian politics forever.